Welcome to Jdanspsa Wyksui, the personal blog of Barnaby Haszard Morris. Just give me a minute. I am gonna let me finish, but this was one of the best meals of all time. 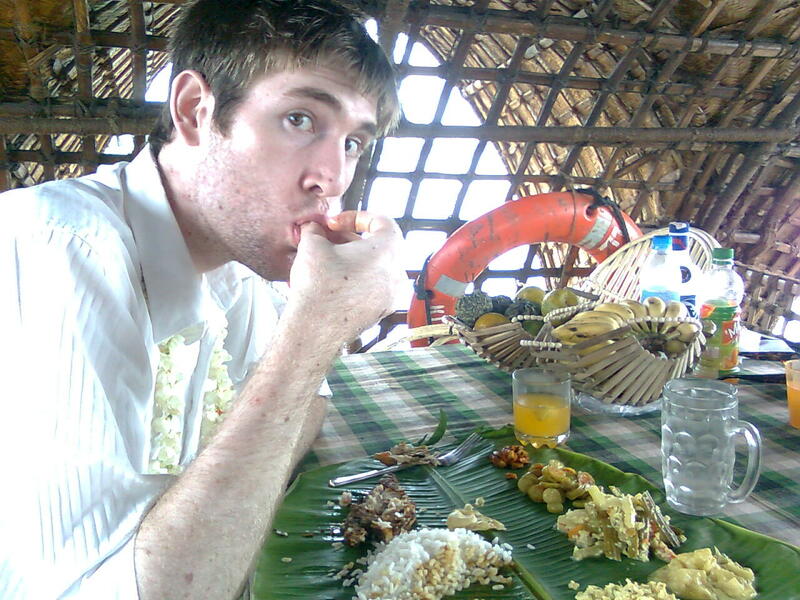 I’m a Kiwi who used to live in South India. I like writing and filming things, and I like reading and watching films. I write India-related articles for The NRI.com and write and manage a cricket website for About.com. Before my years in India, I did a one-year stint teaching English in Japan. Here you’ll find writing about film, music and books; stories about my experiences travelling; interaction with other folks on the web; and links to other stuff on the Internet. I hope things on this site encourage people to listen to each other more. All comments will be posted except those including spam or blatant, hateful prejudice. The banner headings at the top of the page will take you to sections of past writing, such as an archive of my film reviews and a collection of best-of lists for the 00s. These sections are often out-of-date and poorly maintained, if at all. For my writing about Japan and India and other personal experiences, navigation is easiest at right in the ‘By Category’ section. You can always see the lot by just scrolling down the main page and clicking ‘Older Posts’ at the bottom to keep going back in time. RSS feeds are in the sidebar too if you want to be updated whenever there’s a new post, or you can add the feed to Google Reader, or whatever RSS platform you use, in the usual way. I guess I can always use more followers on Twitter so if you’re on there, check out my feed by clicking on ‘@BarnabyHM’ – again, in the sidebar at right. Finally, ‘Jdanspsa Wyksui’ was created in around 2002 and has whatever meaning you personally ascribe to it. Haha! It’s amazing how many visitors look at the ‘About’ page and then leave the site. I wonder if the picture has something to do with it…? I was about to ask what jdanspsa wyksui means before I came upon your disclaimer. Came across your blog from The-NRI.com. Read most of your articles there. To be honest, I admire you for striving to establish an emotional connection with the places you go to and the people you meet. Hope you get to enjoy masala dosas soon. You’re quite right – I haven’t seen many, and most I’ve seen I haven’t liked very much. I do have a set of Malayalam films to get through though, so expect to see reviews of those reasonably soon. Also, I’m planning to write something about Lagaan (which I adore) in the near future. Hopefully that’ll be a good start!